1.) He tweeted this out. 2.) He did a live reading of the Empire Strikes Back script (playing Luke Skywalker) in LA right before Christmas 2014. 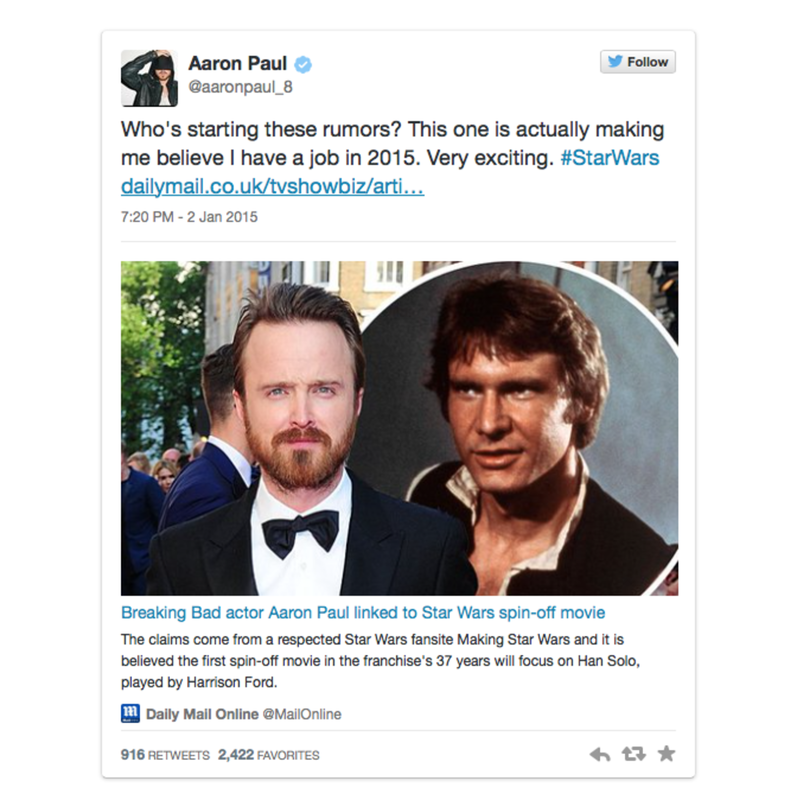 People who attended linked his vocal performance and tone to Han Solo and rumors started to swirl right after. - "A code name for the production is Luminac Industrial Goods." - "[The source goes] on to say there's going to be a really interesting situation at Pinewood Studios. 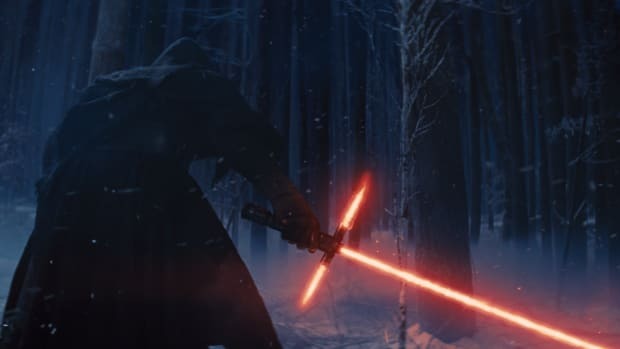 The filming will eventually overlap with some of Star Wars: Episode VIII." - "Who are they hearing the film is about? 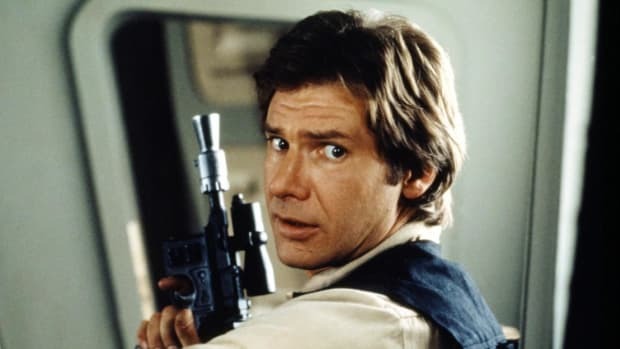 Han Solo." 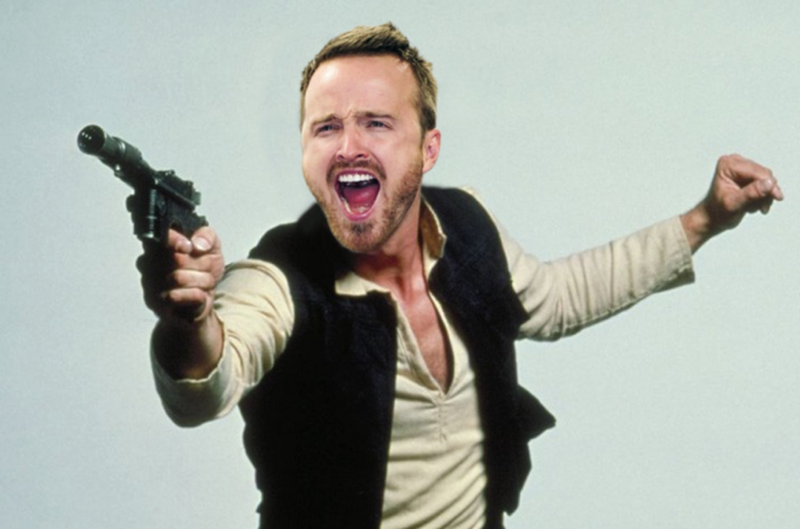 - "They went on to say the word around the current production at Pinewood is that Aaron Paul is looking to be attached to the first Star Wars spin-off film in some fashion." 4.) 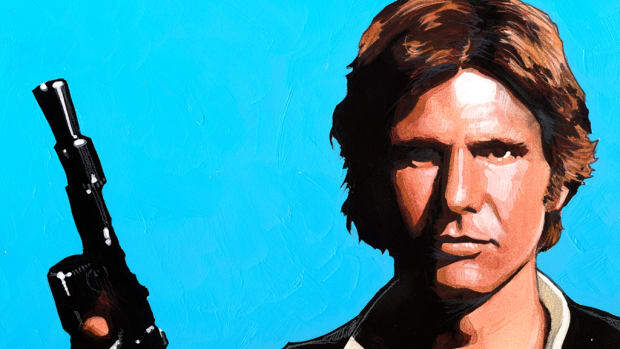 Disney has 100% confirmed that they're making a dedicated Han Solo movie.